Gene Simmons poster 1979. . HD Wallpaper and background images in the kiss club tagged: photo kiss poster 1979 gene simmons. 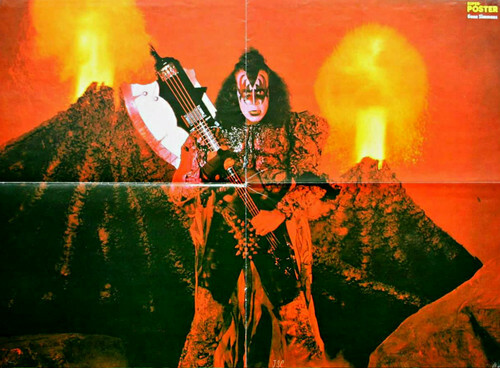 This kiss photo might contain fuego, llamas, and infierno.